Home Insights Agility Keeping pace with the unpredictability of change and staying ahead! How do you tango in the digital age? The answer is as old as tango itself. It takes two to tango, as the saying goes. In the age of digital transformation, it simply means more collaboration. With this spirit of collaboration in mind, 40 CIOs from Singapore and Malaysia gathered in scenic Penang under the CIO Causeway Connect programme to share ideas and thoughts on the best practices of partnerships. 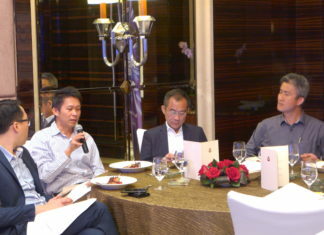 Held between 6 and 7 October, it was an inaugural cross-border CIO exchange between the two countries, jointly organised by CIO Academy Asia (CIOAA) and PIKOM CIO Chapter (Malaysia). Penang, the Malaysian island of rich Straits Heritage and the country’s unofficial food capital, was the perfect setting to play host to the most forward-thinking digital leaders of Singapore and Malaysia to forge connections, and share their thoughts and experiences regarding the digital churn that is facing all organisations today. On Day 1 morning (Friday, 6 October) at Eastern & Oriental (E&O) Hotel, the delegates were welcomed by Mr. Ramakrishna, Deputy CEO, CIOAA, and Ms Beh Swan Swan, Chairperson, PIKOM CIO Chapter (Malaysia). She introduced the delegates to the PIKOM CIO Chapter (Malaysia) which was set up to foster relationships among CIOs in Malaysia. Currently, PIKOM has 110 members. Are CIOs ready to perform the “Fosbury Flop”? 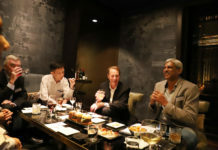 Describing the challenges faced by tech leaders in today’s digital age, Mr Ramakrishna said that past successes, in the context of Singapore, cannot be taken for granted. It cannot be used to predict future success. What worked for Singapore in the past may not necessarily work for the future. “What got us here, will not get us there,” he said. The Singapore government’s previous top-down, masterplan-guided economic development model needs tweaking, he surmised. 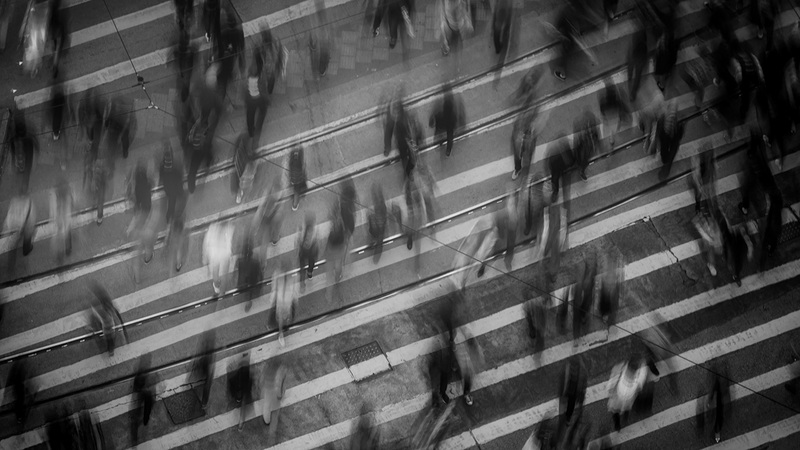 The government needs to co-create with citizens and businesses, and help manage talent – factors the government is keenly aware of, and has tried to integrate into its Smart Nation Strategy. He referred to the Fourth Industrial Revolution in which digital transformation has been unleashed upon us – a fusion of technology across physical, digital, and biological worlds, as defined by Klaus Schwab of the World Economic Forum. 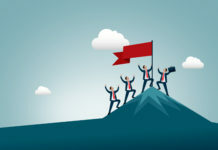 In this age, he continued, today’s tech leaders have to face higher expectations: achieve quantum leap efficiencies, produce unheard of capabilities, and perform the “Fosbury Flop” –a metaphor for achieving the best possible results using innovative techniques and efficiency. On Day 1, the centrepiece of the conference was talks by two veteran CIOs – Mr Hood Abu Bakar, Group CIO, MISC Berhad, and Mr Koh Kok Tian, Director, Supply Chain Operations, Inchcape Asia, Borneo Motors Singapore. Their “confessions” were about digital transformation practised by them, and observed succinctly within their industries. They presented a very candid, unvarnished version of the truth that they saw in their respective countries and industries. Talking about his Malaysia experience, with a tongue in cheek, Mr Abu Bakar said that problems and challenges are pretty common for both Singapore and Malaysia. He referred to some game changing technologies, especially in the context of the logistics industry. Some of them are automation and workflows, CAD, CAE, POC, DCS, chatbots and apps, and natural languages. He emphasised change, especially in the face of common challenges such as budget constraints and lack of standardisation. “Change before you have to change, but don’t change for the sake of change,” he said. “You can’t just ignore what is happening outside. You will be impacted one way or another,” he warned the CIOs. Mr Koh’s sharing was on building the right digital culture for the Digital Age. Speaking in the context of the automobile industry, he said that he was seeing a huge transformation in his industry: the end of the internal combustion engine and the end of diesel cars. The transportation sector is witnessing a shift from ‘ownership’ to ‘mobility’. Cars are already turning into computers with wheels, he said. He predicted that the future of automobiles is TaaS – Transport-as-a-Service. No CIO conference is complete without a discussion on cyber security – the number one worrying item on every CIO’s list. Sharing his thoughts on this significant topic was Mr Brian Chappell, Senior Director, Enterprise & Solution Architecture, BeyondTrust. He presented a comprehensive view of how privileges, passwords, and vulnerabilities are being leveraged as attack vectors. He offered an innovative ‘inside-out’ approach to cybersecurity that helps limit both the attack vectors and the impact of a potential attack. He described his approach to cybersecurity like peeling the onions – each layer is simple but together, it makes a solid product/system. During the panel discussion comprising Mr Abu Bakar, Mr Chappell, Mr Koh and Mr Tan Kah Chai, Group CIO, Sime Darby Berhad, and moderated by Mr Ramakrishna, a volley of questions such as how an organisation works with partners, how each should approach digital innovation, what each decides what systems to keep inhouse and what to outsource were posed to the panellists. The panellists were of the view that culture plays a crucial role in any organisation’s digital transformation. “The culture has to be right for digital transformation,” said Mr Koh, reflecting back on the main takeaways from his presentation. After the discussions ended, representatives from each table shared their thoughts with all other delegates. After the networking lunch, the delegates left for a factory visit to Flex Plant 5. Before the visit, the delegates were briefed by Mr Lee See Nee, VP, IT Operations and Global Applications Support, Flex. Plant 5, founded in 1995 is one of the largest manufacturing plants in Penang. It employs more than 4,000 employees and specialises in manufacturing networking and industrial products. Though rain played spoilsport for awhile, it failed to dampen the spirits of the delegates. In fact, the delegates found the plant visit a great learning experience. On Day 2, Mr Leong Kok Fann, MD, Asia Pacific Methods, shared his insights into the design of a leadership competency framework which balances the need for transformational leadership style with operational excellence. At the end of his presentation, he shared two case studies – one of a regional bank and another of a broadcasting organisation. The last session, presented by Mr Brendan O’Neill, Director of IT services, Seaco Global, was literally mind-stirring. He talked about the significance of living in the moment and how meditation can help clear our heads and make us better leaders. He conducted an exercise of feeling, and eating a raisin to demonstrate what living in the moment meant. The exercise thrilled everyone present. At the end of his session, he was joined by Mr Sreeram Iyer, COO, Institutional Banking of ANZ. Mr Iyer had given a TEDx talk on spirituality recently. Spirituality is not about religion, he said. It is about living in the moment. In simple terms, spirituality helps one to be grounded by virtue. The one-and-a-half-day conference came to conclusion with remarks by various CIOs, and a closing note by Mr Glen Francis, President, CIOAA. Mr Francis, who had been traveling through Europe and Asia, cited innovative examples from Europe, and how innovative companies are changing the business landscape in the world. For example, he mentioned how Ikea is going big into IoT products and robotic experiences. On the other hand, companies will learn harsh lessons if they resist change. He gave the example of Yellow Pages – how a $130 million business is now just a $3 million business, and now they are being forced to transform their outmoded business practices. His message was very clear: if you do not change, you will be wiped out of the market.